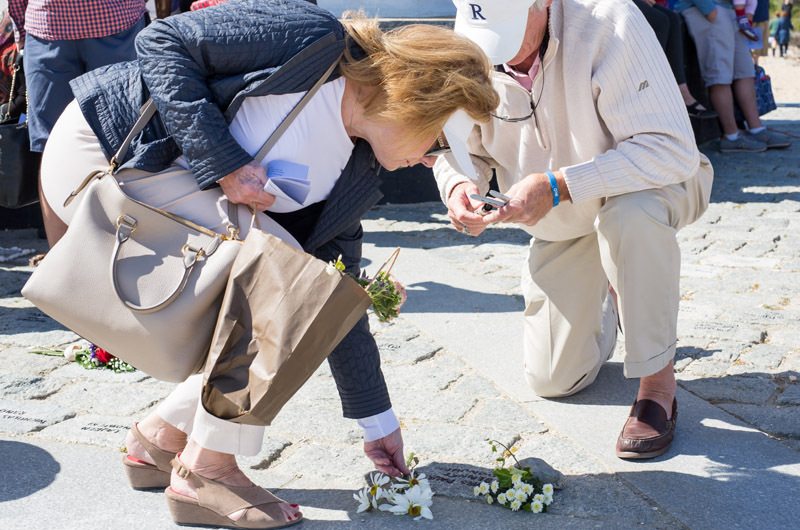 Ceremony of Remembrance at Edgartown Light was time for quiet memory and support from others. 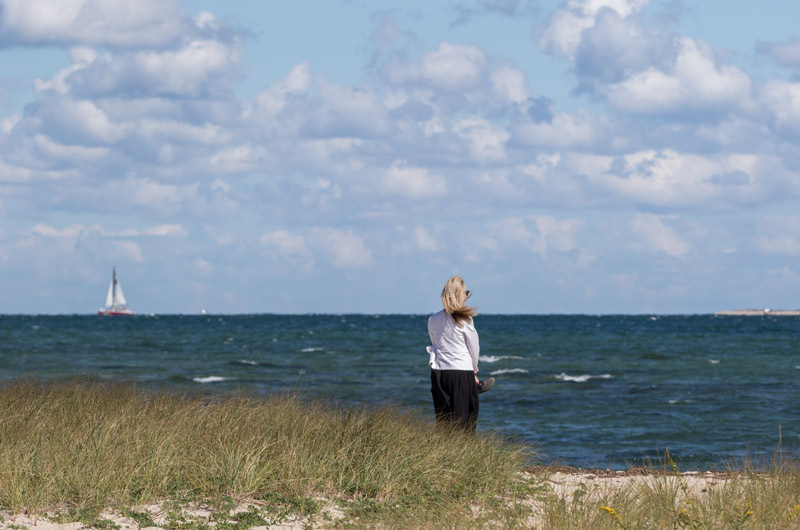 On Saturday afternoon children dashed back and forth from the beach to the base of the Edgartown lighthouse, bringing handfuls of slipper shells to decorate the cobblestones of the Children’s Memorial. Tiny pumpkins, baskets of flowers and bouquets also adorned many of the stones, which honor 733 young lives lost. 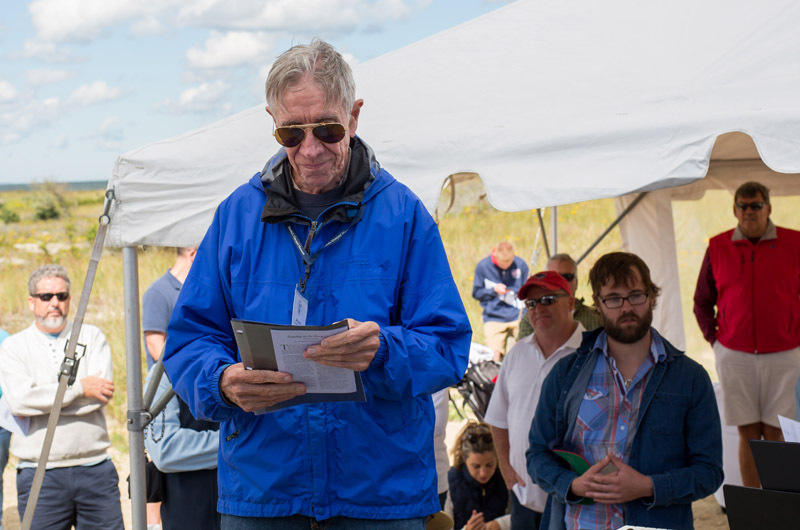 “They are part of us all here today, and part of the Vineyard,” Martha’s Vineyard Museum director Phil Wallis told a group of more than 100 people who had gathered for the 15th annual Ceremony of Remembrance at the Children’s Memorial. 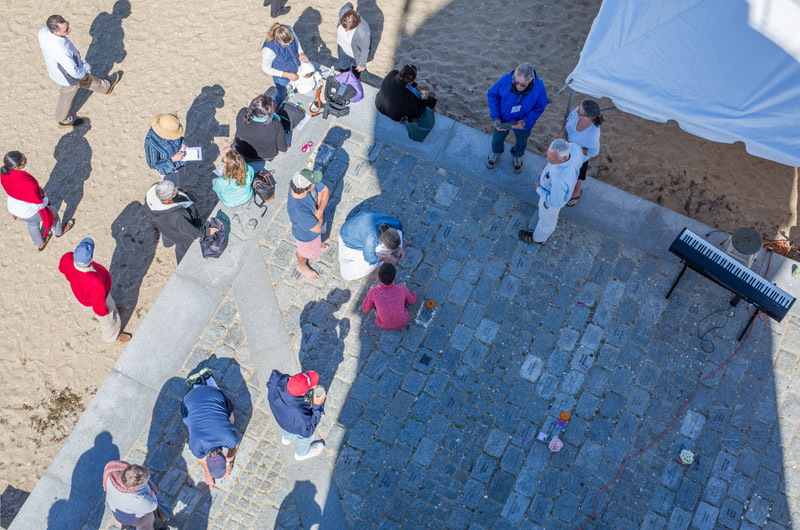 There are now more than seven times as many engraved cobblestones at the lighthouse as there were when the memorial was first dedicated in 2001. One of the newest stones, at the very front of the memorial, honors Mateo Louis Almeida, whose life ended before he was born. Mateo’s mother, Sara Almeida of Peabody, said she lost her baby last November after five months of pregnancy, and learned of the Children’s Memorial from a co-worker who had also lost a child. Musicians Carol Loud, Martha Hudson and Pam Butterick performed devotional music including Thomas Dorsey’s Precious Lord, Take My Hand and Natalie Sleeth’s Hymn of Promise, which left many in the crowd wiping their eyes. According to Betsey Mayhew of the museum’s Children’s Memorial Committee, volunteers are needed to help care for the site. Those who wish to assist may contact Ms. Mayhew at 508-627-4441, extension 112.